High-quality cotton short sleeve tees - rich durable silk screen front and back. 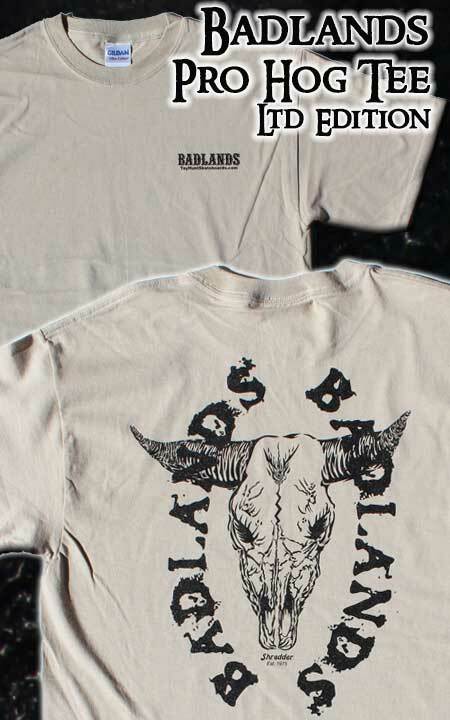 Khaki or Cement color tees with black Shredder logo screened on back; Badlands logo on front. Limited availability of sizes on hand --adult size Medium only.